High Voltage Electrical Contractors Serving the Southeast Region area. Running a large industrial facility or facilities is no easy task, and one thing is for certain, you need electricity supplied when and where you need it, safely and securely, and as cost effectively as possible. East Bay Electric LLC offers a myriad of electrical services to many of our industrial clients, and we believe no project is too big or too complex for us to successfully complete. Whatever your electrical needs, be it overhead distribution or transmission services, emergency storm restoration services, or technical services for electrical systems, East Bay Electric LLC can help your company complete the task and get the job done effectively in a timely manner, at a cost that will help improve your company's bottom line. We have performed utility services for entire regions, and many, many large corporations. 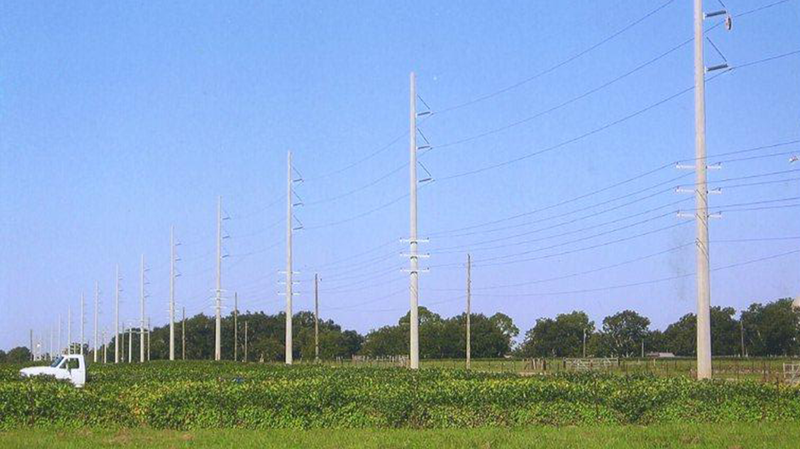 Overhead lines require knowledgeable, experienced personnel, and we provide the best in the business. We guarantee that we can assist you with any electrical service or project your corporation, factory or facility might require. Please contact us at your convenience for any questions, consultation, or information that your company or product might require. We are absolutely positive that you will be satisfied with East Bay Electric LLC 's service and professionalism, whatever your industrial or commercial electrical needs might be. Huge storms, particularly in the Southeast, which is often plagued by Hurricanes and Tropical Storms, can wreak havoc on lines and entire systems. We provide quick, effective solutions for the industrial and municipal electrical problems that storms in the Southeast often cause. East Bay Electric LLC is an electrical contractor in Southeast Region providing full capability electrical contracting for new construction, renovations, tenant improvements, service upgrades, interior and service installations in the Southeast Region area. From design to finish, our experienced estimators, project managers and technicians provide the expertise to ensure your electrical project in the Southeast Region area is completed on time, on budget and up to code. Contact us today and we'll show you how we can put our knowledge to work for you.